Spencer Group were awarded the project alongside three further works packages for ABP as part of a £15m upgrade to the Hull Container Terminal. This was the first of three contracts conducted by Spencer Group at the port, and ran alongside a 12,000m2 paving project on the dock. 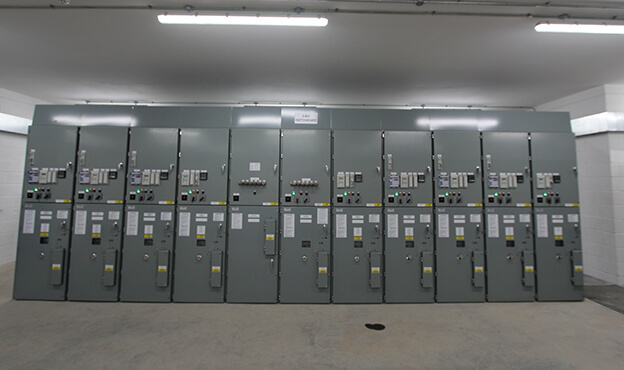 The project involved the design and construction of a new primary substation building, in addition to the transformer compounds suitable to house the selected electrical equipment. 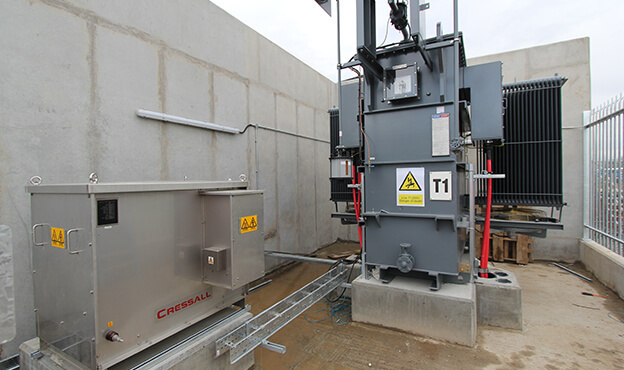 This included the installation of all foundations, floor, cable and access pits, masonry, roof (including drainage), access steps and platforms, fire compartmentation, electrics and external lighting. 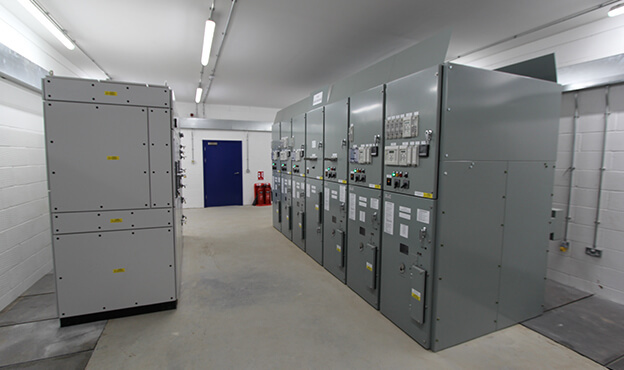 The substation required both high voltage switchboards, including an 11KV and 6.6KV switchboard, 11/6.6KV transformers including ancillaries, in addition to low voltage switchboards, cabling and commissioning. Through careful planning and close coordination with the client, Spencer Group were successfully able to conduct these works alongside the additional paving contract, without any disruption to normal port operations. Following our successes on this project, Associated British Ports awarded Spencer Group with a further works package to upgrade the existing crane rails at the Hull Container Terminal.